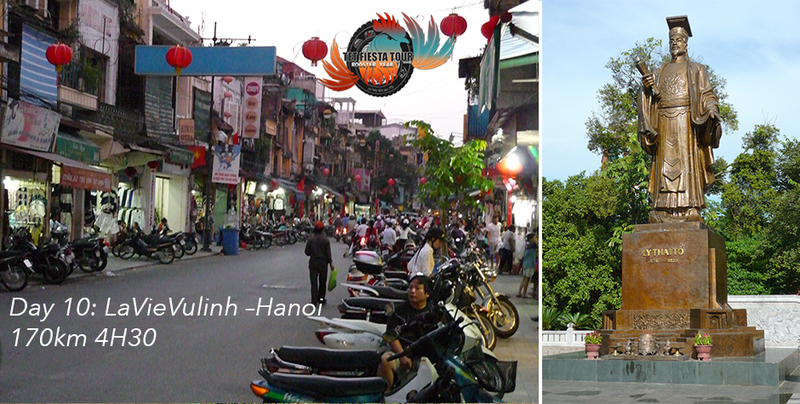 The Annual Tet Fiesta Tour 2017. 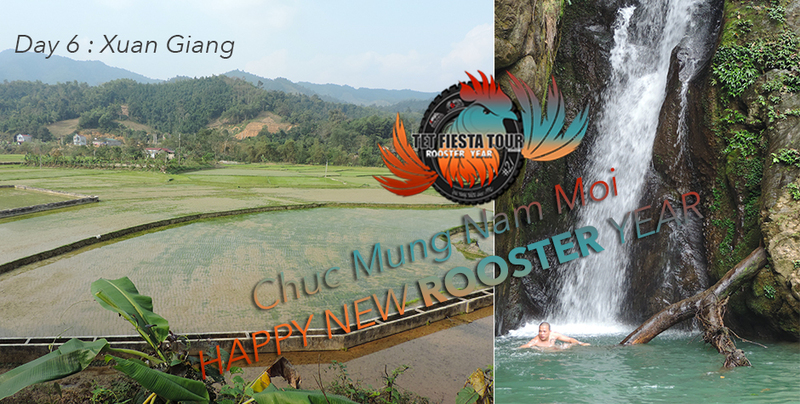 COME ONE COME ALL To the Têt Fiesta Tour 2016 21th EDITION year of the Rooster 10 crazy days motorbiking out of time to celebrate the Moon new Year with all our Ethnic friends from North Vietnam From January the 23rd till February the 1st. 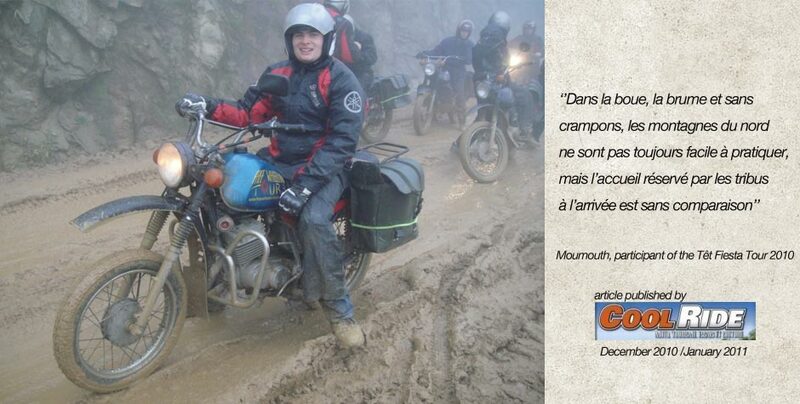 Easy First stage with smooth roads for 3 hours including breaks, mechanical adjustments, luggage fine-tuning, etc. 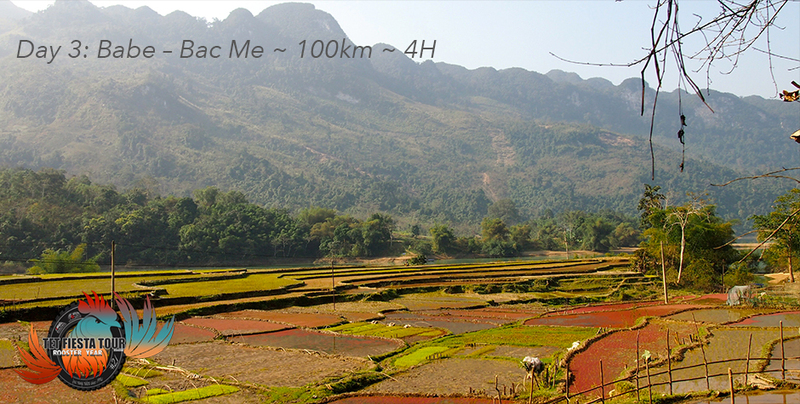 We head East towards Lang Son and China. 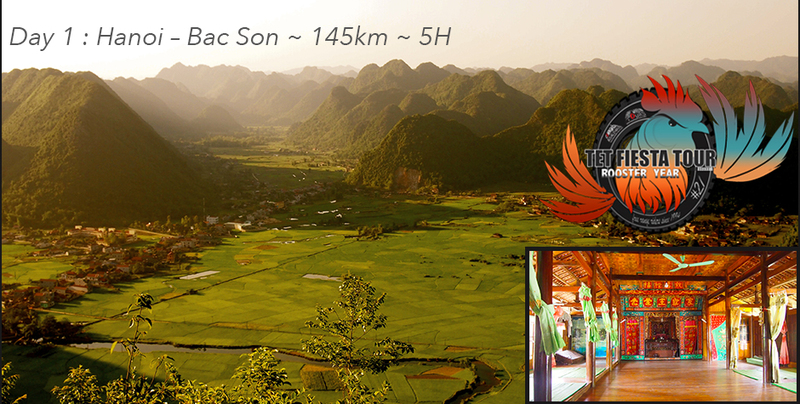 After lunch, we branch off to head for North towards Bac Son where we’ll spend our first overnight among a Tay family. If we arrive on time, we’ll be able to learn the technique for making the famous Banh Chung, traditional cake rice for Têt. Tasty but sticky, it will fill up your stomach, so don’t forget the local alcohol to make it easier to all the way down! Today is a bit special: a world class area to ride through, or to put it differently, one of the most beautiful sites on Earth. H’mongs are the only free and fierce people to thrive in these Northern wilderness. 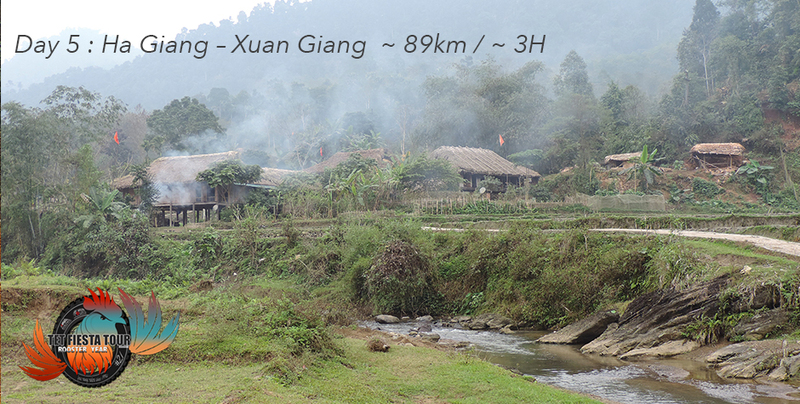 We cross their territory all day long until we reach Dao’s place where we eat. 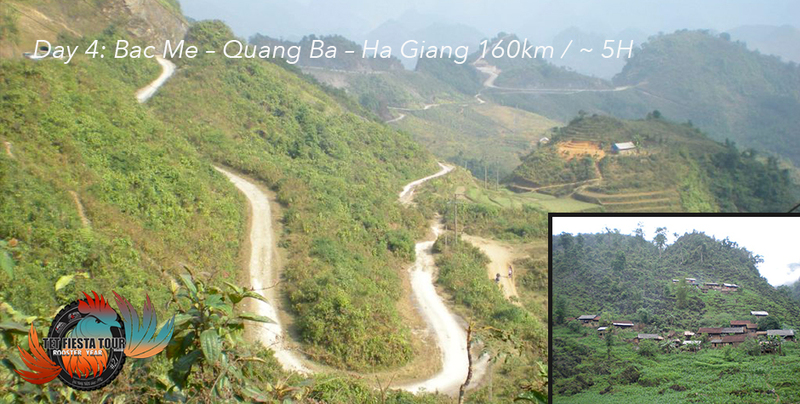 From Ha Giang we have 2 choices: a 5hour “Rock’n Roll” trip by tracks or a 3 hour smooth trip by road. Actually the 4 wheeled vehicles won’t have any choice. The track is what local riders like up here, really wild, wet and you will get dirt, yet the scenery is breathtaking so it’s worth the shot. What to say about the national road, we go fast not furious and it gets better after around 30 km. 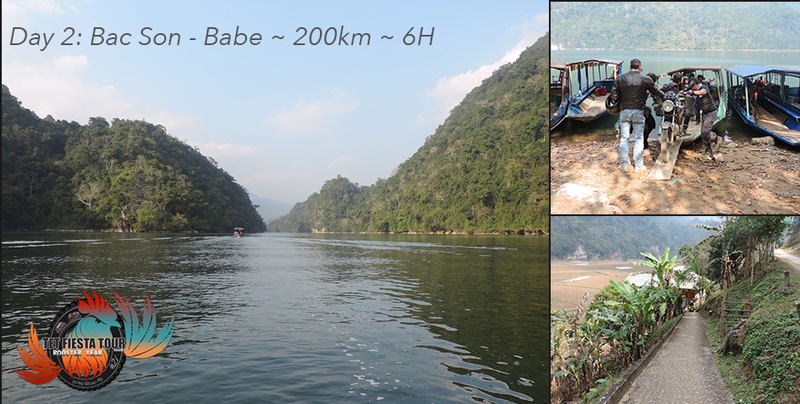 We leave the Mountainous area to get to the valley following the Cha river which empties into That Ba Lake, the biggest in North Vietnam. 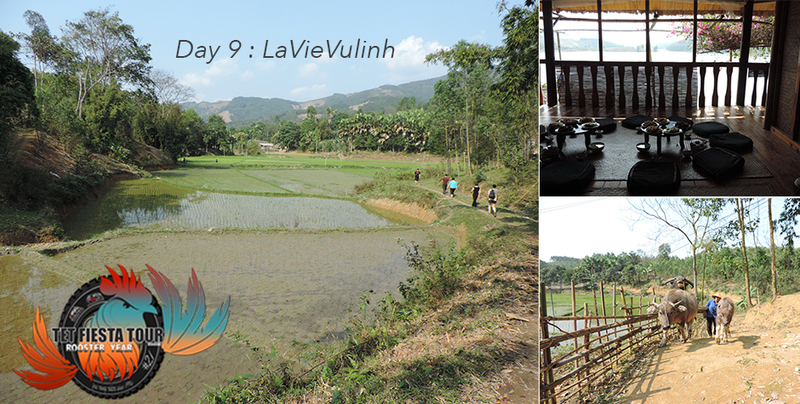 That’s where we spend the night : LavieVuLinh Ecolodge. 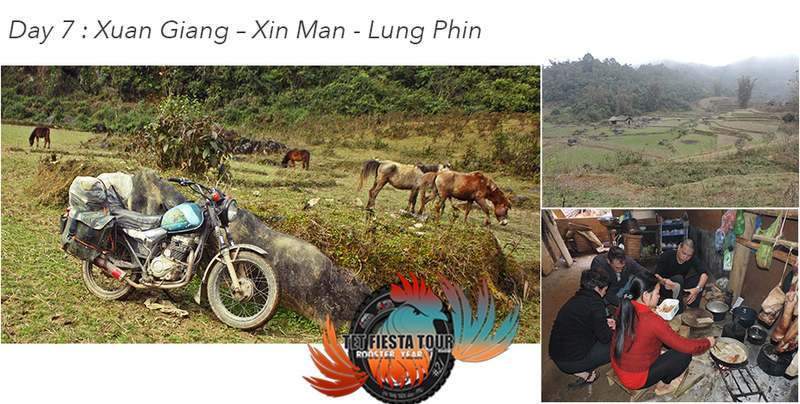 Not included : – Drinks: the crew will organise a kitty bearing in mind individual consumption patterns – Individual insurance (you will need to sign a waiver) – Cost of repairs to motorbikes due to careless usage (crashes, poor handling, etc. the cost of parts will be billed. Costs related to usual wear and tear will not be billed, unless you hire motorbikes independently) – Any services not included in “included” above. We can accommodate changes for those who have their own wheels, or who will join us during the tour, or any other individual requests. 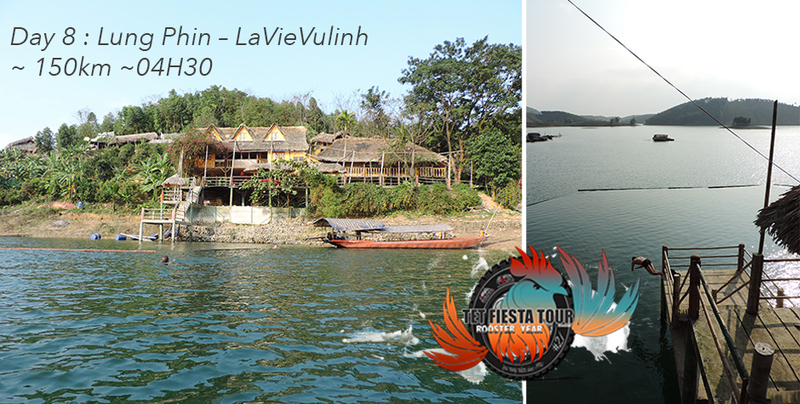 Please note that our price has remained the same for a number of years, and profits are used to welcome our friends onto the tour, so that our whole crew can join us and so our friends can improve and develop their Homestays. If anything is left over, it allows us to survive. Please also note that the Têt Tour rhythm can be intense, but can also be adapted to accommodate everyone, either as drivers or passengers. 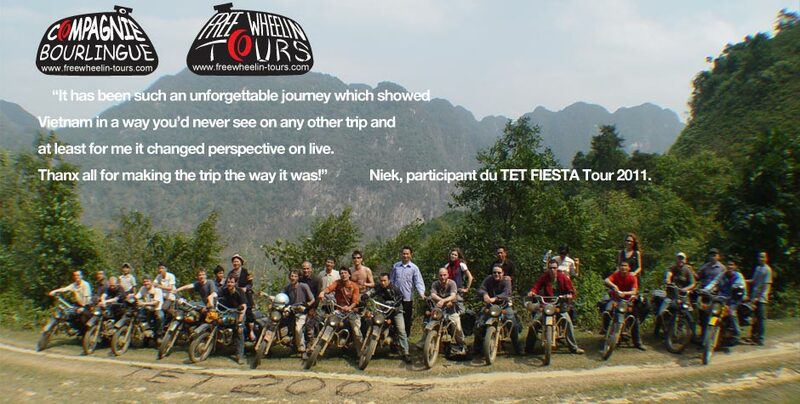 If any further proof were necessary, my baby daughter will be joining us to celebrate her first birthday.Don’t delay and book today, to join the 20th Edition of the Tet Fiesta Tour.